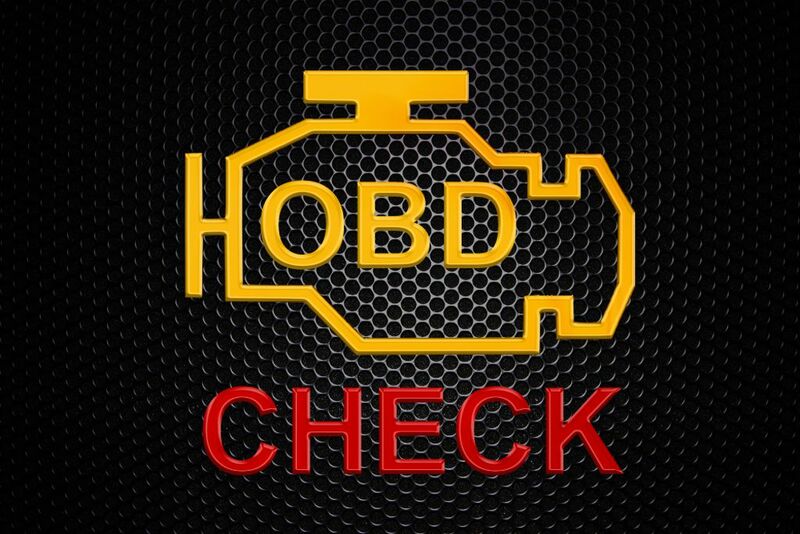 To read OBD trouble codes, insert an OBD scanner, write down the trouble codes that are displayed, and break them down by each character. OBD codes can be a little bit daunting, and understandably so. They’re full of seemingly random letters and numbers that tell you something about what your car is doing wrong; not exactly fun, right? That said, OBD (which stands for On-Board Diagnostics) codes can be immensely helpful. When the Check Engine Light illuminates on your car dashboard, or any other warning light is displayed, it means that something is wrong with your car and needs to be diagnosed. Of course, you can always have your OBD codes read and deciphered by a mechanic, but it can be handy to know what to do yourself. By learning how to read and understand OBD codes, you can diagnose your vehicle in a pinch, and also save some money by determining what’s wrong with your car at any given moment. Thankfully, learning how to read and understand OBD codes is pretty easy, and we’ve got you covered. In this article, Step 1 covers the process of purchasing a scanner. Step 2 tells you how to insert the scanner, and Step 3 talks about recording the codes. Finally, Step 4 tells you how to read the trouble codes. Simply put, there’s no way to read your vehicle’s OBD codes without an OBD trouble code scanner. Traditional scanners display the codes directly on them, but there are lots of new models that will send the data directly to your smart phone or tablet. These newfangled devices are terrific, because many of them allow you to decipher the trouble code directly through the scanner’s app, and often see possible repairs and mechanic prices right through your phone or tablet. In order to use your trouble code scanner, you’ll have to find the OBD port. The port, which is a 16-pin female connector, is very easy to find, because automotive laws require it to be within three feet of the steering wheel, and accessible without tools. Usually it’s right above the gas and brake pedals. Once you’ve inserted your OBD trouble code scanner into the OBD port, the trouble code (or trouble codes) will be displayed on the scanner, or in the accompanying app. Make sure to record the trouble codes exactly as they are, and in the order that they’re displayed. Your scanner displays trouble codes in a specific order based on the order in which they should be diagnosed. Often, fixing the first trouble code will solve the second one, but not vice versa. OBD trouble codes feature five characters: one letter, followed by four numbers. The first character represents the part of the vehicle impacted: B for Body (air conditioning and air bags included), C for Chassis (anti-lock brake system included), P for Powertrain, and U for User Network. Most OBD codes are powertrain codes, and many OBD scanners cannot read non-powertrain codes. The second (and occasionally third) character represents whether the code is generic (for all vehicles), or specific to one manufacturer. For B, C, and U codes, 0 and 3 are generic, and 1 and 2 are manufacturer-specific. For P, 0, 2, and 34-39 are generic, while 1 and 30-33 are manufacturer-specific. The next number represents the specific area of the car impacted: 1 and 2 for fuel and air metering, 3 for ignition and misfiring, 4 for auxiliary emission controls, 5 for idle and vehicle speed control, 6 for computer circuit, and 7, 8, and 9 for transmission (A, B, and C also exist for hybrid vehicles). Finally, the last two numbers detail the specific code. By consulting the internet, the app for your OBD scanner, or a trouble code book, you can determine what the final two digits, and the entire trouble code mean. OBD trouble codes are complex because there are thousands of different ones. However, when you break them down character by character, it’s easy to see that they’re not that complicated. Learn how to read and understand trouble codes, and you’ll be set for deciphering exactly what’s wrong with your vehicle. Hate shopping for car insurance? Jerry does that for you automatically using A.I. technology. Just leave your name, phone # and current provider. Jerry negotiates with up to 45 providers for the lowest rates and does all the paperwork to switch – all at no cost to you. Hate shopping for car insurance? Jerry does that for you automatically using AI technology. 1. Tell us your name, phone and current insurance company. 2. We shop with up to 45 insurance companies to find you savings. 3. We do all the paperwork for you to switch, at no cost to you. Windshield wiper fluid is stored under the hood and the windshield wiper fluid light will illuminate when the reservoir is low or empty. Your car tires will lose pressure naturally over time. Checking your tire pressure on a monthly basis will prevent tire wear and increase handling. Using a car jack and jack stands is an easy way to get under your vehicle so that you can assess leaks, change the oil, or rotate your tires. Jerry automatically checks if you're paying lowest price for your car insurance, for free.